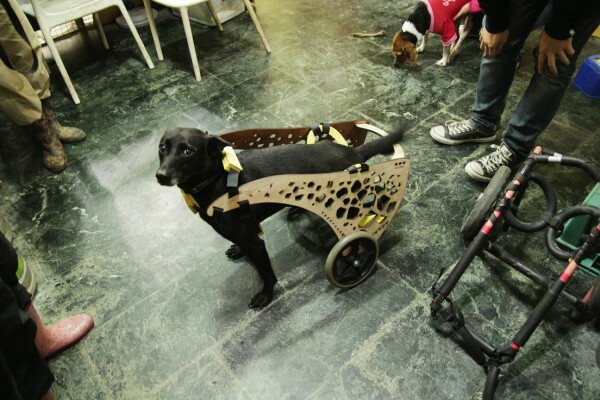 This dog wheelchair is made from laser-cut wood. Photo courtesy of Fablab Dynamic. 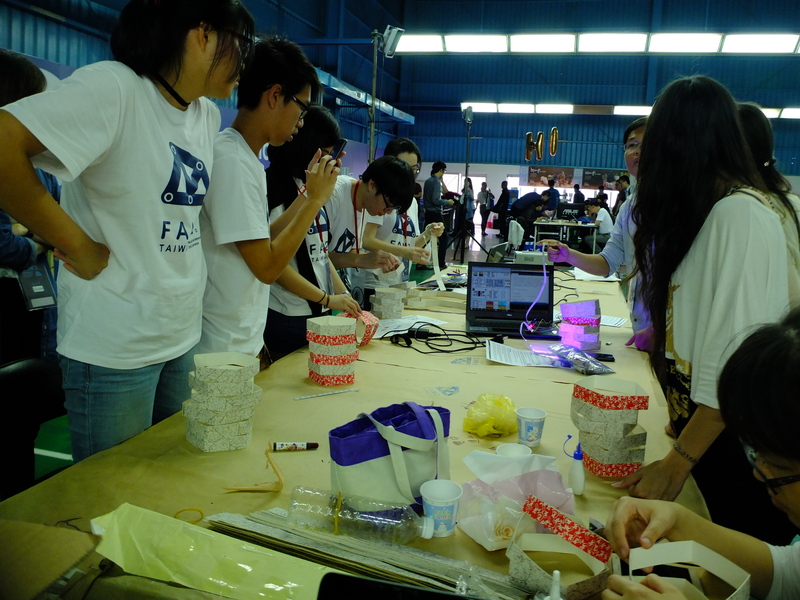 In the afternoon, we conducted a workshop called “Chameleon Lamp” for FAN2 participants. The name “Chameleon” is inspired by a chameleon’s ability to change its skin colour, depending on its surrounding. A chameleon lamp is one that changes colour when a hand-swipe is detected above its sensors. Due to shortage of time, we could not make enough control boards for everyone to try their hands on, so we did a demo. If you’d like to attempt this at home, check out our instructions here. Nhan instructing workshop participants how to make a chameleon lamp, one that changes colour when a hand-swipe is detected. 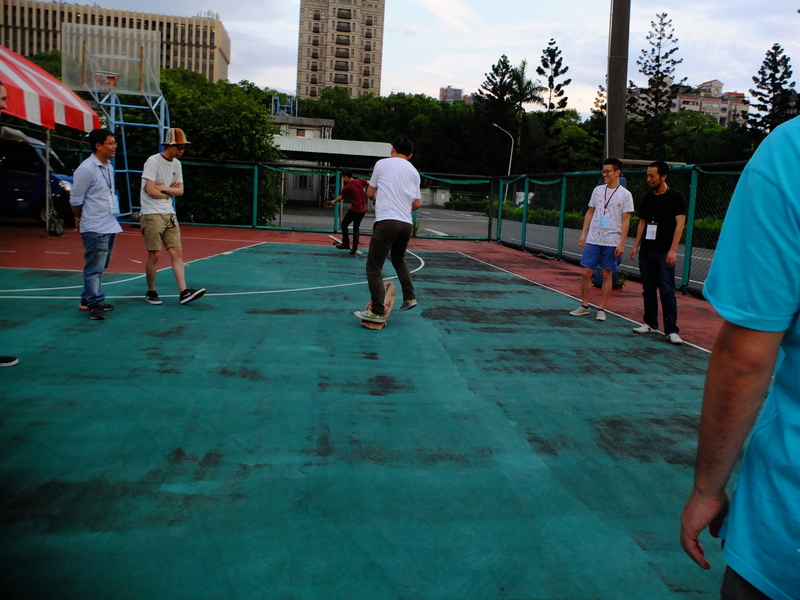 Just before dinner, we had a chance to learn skateboarding. On the DIY skateboards of our friends. It was so fun! There is always something new to learn everyday. 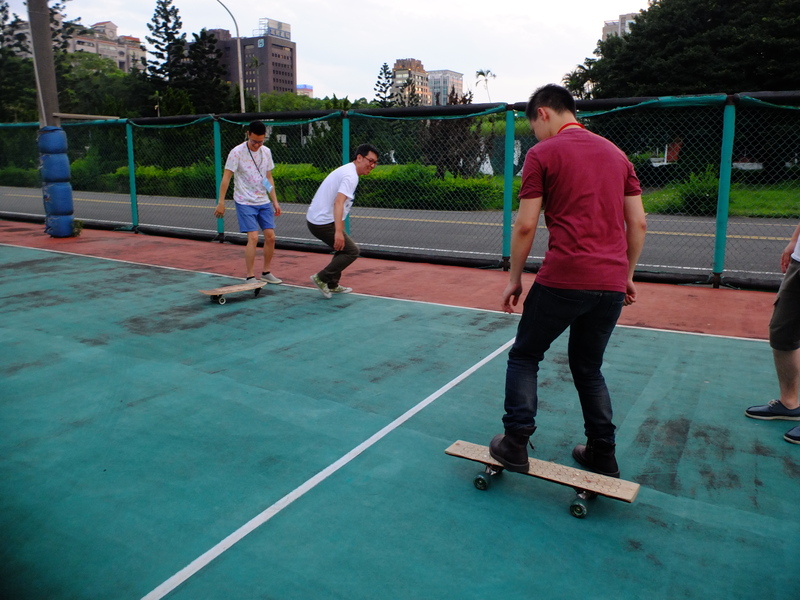 Today we learnt skateboarding. What about you?